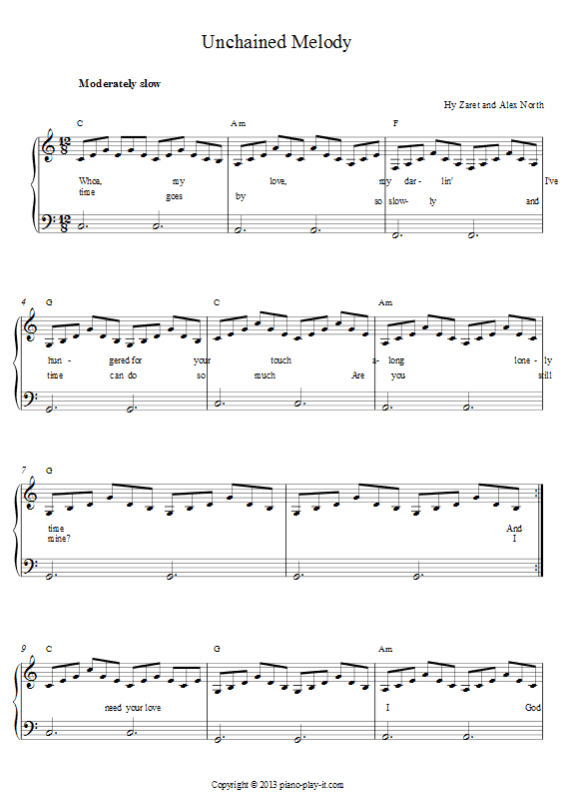 Here's a piano tutorial for one of the most popular piano ballads of all time. This is an incredible beginners piano tutorial to start with. Click here if you haven't signed to Piano Playground, our free E-zine yet make sure you do that in order to get the user-name and password codes for the Sheet Music I provide here under. Here's a free piano sheet of Unchained Melody as demonstrated at the beginning of this piano tutorial.